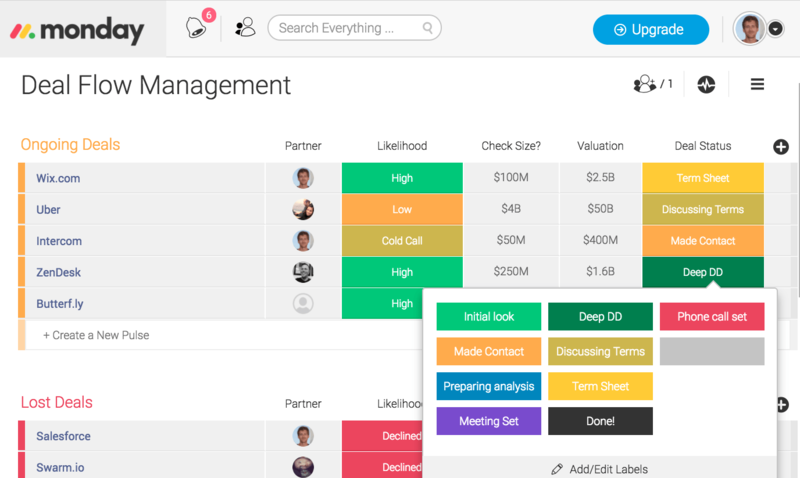 Get a high-level overview of your portfolio companies. Quickly see how much capital is utilized, what the expected returns are and easily evaluate overall risk. Keep track of which existing portfolio companies require additional funding, who has enough capital to grow and which company will require additional capital deployment in the near future. Ensure you are not letting the ball drop by being on top of every process and maintaining full visibility across the fund. 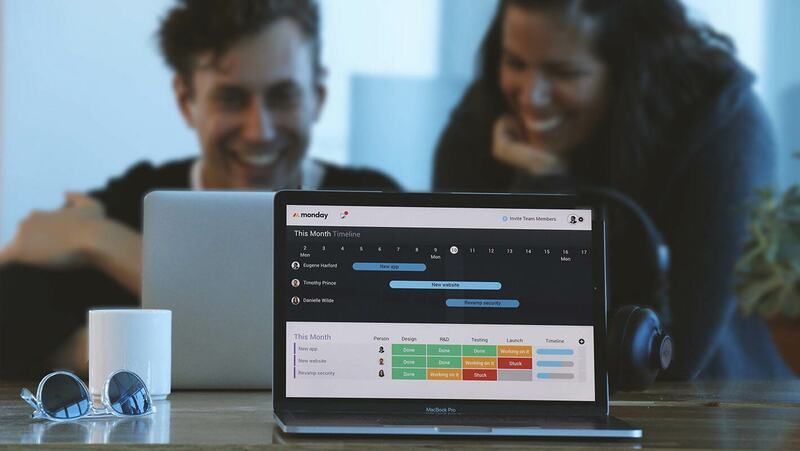 Make weekly partner meetings easier to manage. 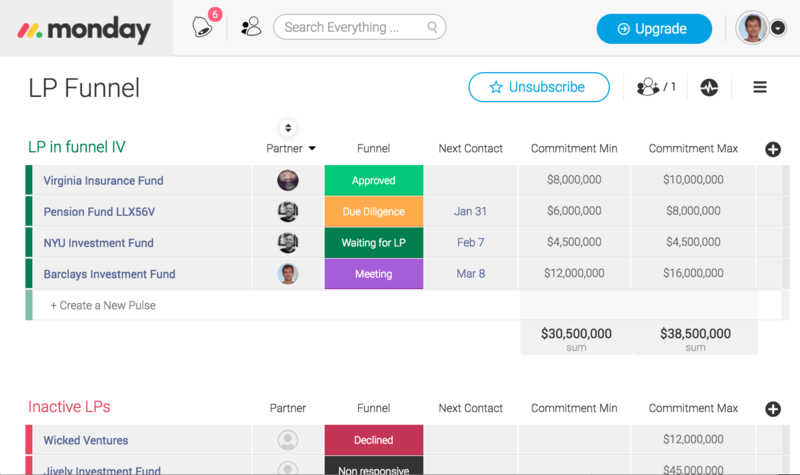 Instead of wasting time making sure everyone is in sync, each partner can quickly filter deals that are currently in the pipeline and the partners forum can focus on moving deals forward. Finishing meetings without proper action items can be an issue when managing complex deal flow processes. When evaluating a potential investment, companies send over a lot of data and different versions of their decks. Always review the latest file versions and never lose track of notes or insights about a specific prospect. 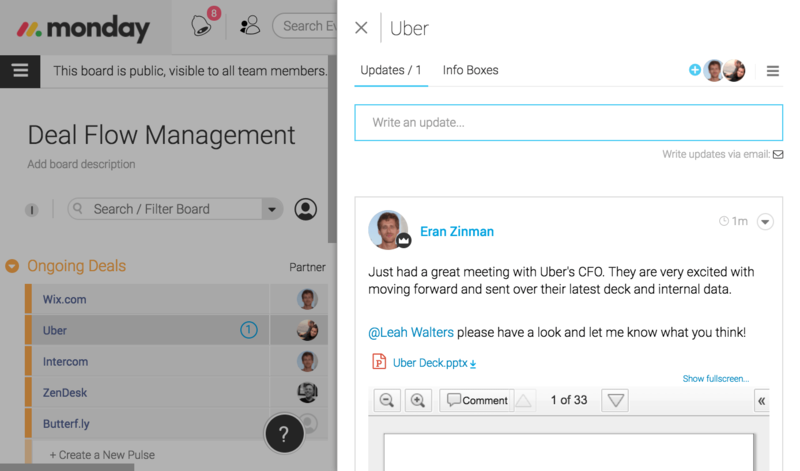 Share insights and thoughts on potential prospects and collaborate with the rest of your team about potential deals. 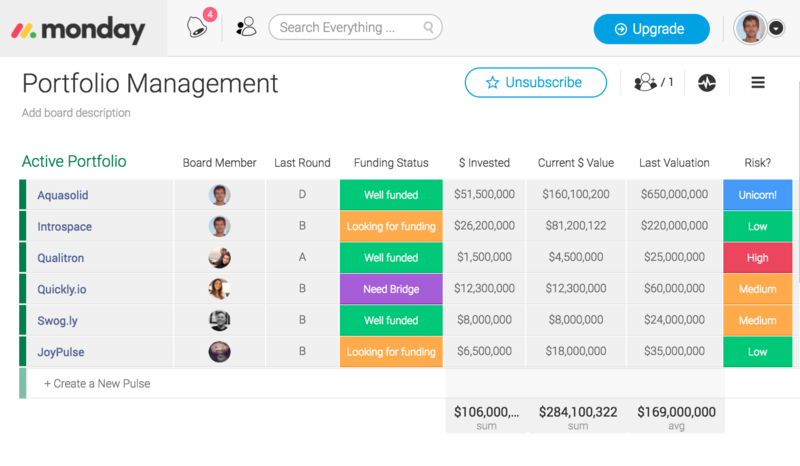 Manage raising capital for your future funds in an easy and visual way. Detail the funnels of all potential Limited Partner deals and plan future fund capital structure based on LP commitments.